What is NSF File: NSF stands for “Notes Storage Facility”, where ‘Notes’ comes from the IBM Lotus Notes. NSF is a file extension which carries the database including emails, tasks, calendars, attachments etc. of Lotus Notes. To access .nsf file user must have either Lotus Notes or Domino server (where Lotus Notes is an email client & Domino is the server provided by IBM). On many occasions we need to view NSF file but we do not have the access to Lotus Notes email client. In this case, this NSF File Viewer tool is the best application to open, read and view the Lotus Notes NSF file. NSF file Opener tool allows a user to open and read NSF file without accessing Lotus Notes email client. Lotus Notes Database Viewer shows the preview of all the data of emails along with attachments such as images, documents. It also retains MetaData as well. The very first step of the NSF File Reader Tool is that it can scan the entire system and shows all the NSF database files. 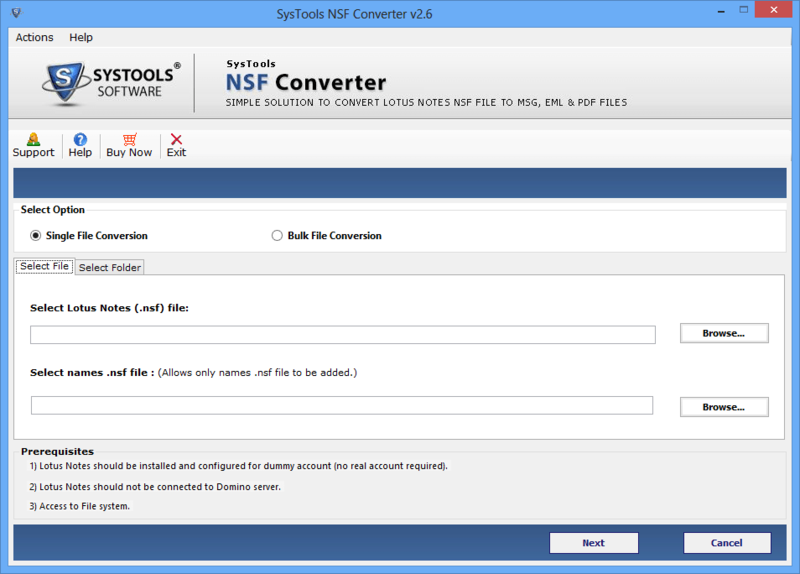 The NSF Viewer software adds them automatically to save user's time. This feature helps all those users who do not know the exact location of the file. With the help of NSF Reader Software, a user can easily open & view all the data items from Lotus Notes NSF mailbox file within the same folder structure. Standalone NSF Viewer application can open and read NSF files without any support of any other application. NSF File Viewer helps a user to view the emails along with the attachments. It maintains Metadata integrity of all the emails. NSF File Viewer also allows a user to export Lotus Notes NSF files to Outlook PST format with complete mailbox items. 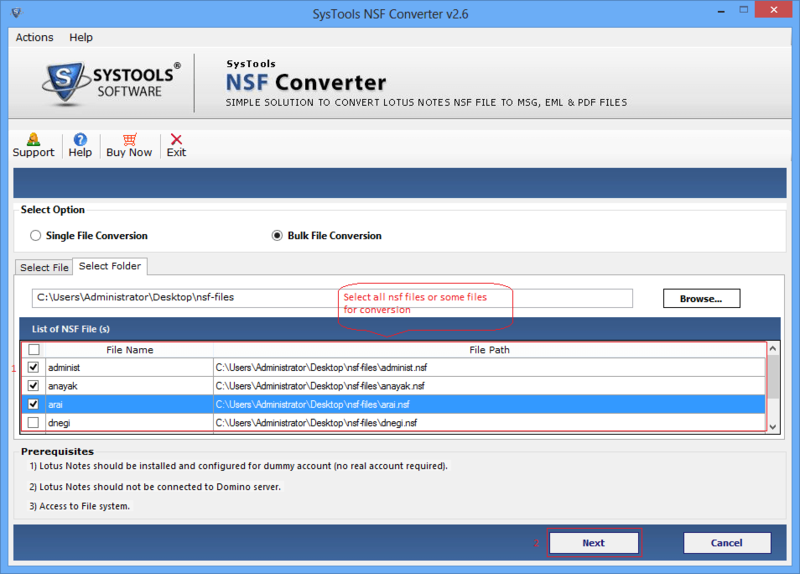 Free Version of NSF File Viewer allows exporting only 50 items (emails, contacts, calendar, tasks) from each folder. Lotus Notes 5.0 & above should be installed (Not Configured for Domino Server). Explain the working of NSF Viewer Tool? 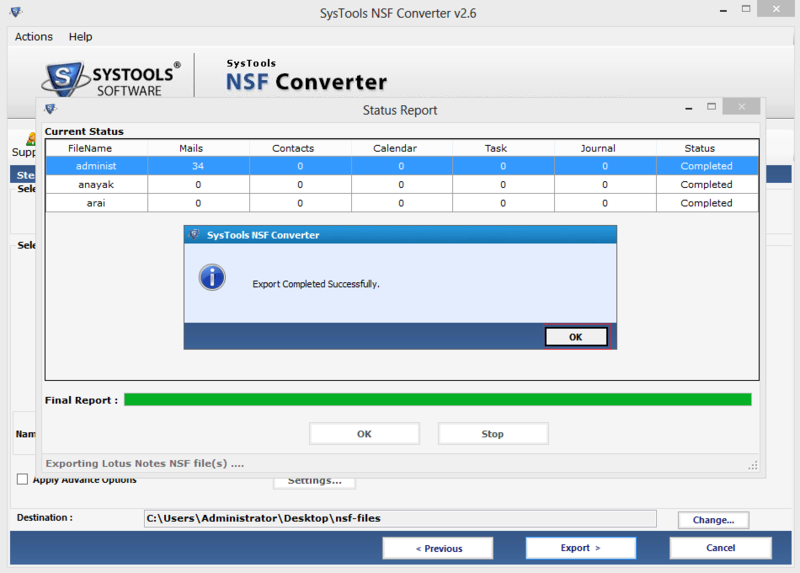 Step 1: Install & run NSF File Viewer application. Step 2: Browse and select Lotus Notes NSF Database file. Step 3: Select the file and apply filters on selected data items. Step 4: Click on Export to export all the data items to the desired location. Is NSF File Reader tool compatible with Windows 10? Yes, NSF viewer is compatible with Windows 10 & Windows 8 and other below versions of Windows OS. Is Lotus Notes necessary to open NSF file? No, there is no need to install Lotus notes to open or view NSF file. Does Lotus Notes Database Viewer tool has any limitation of file size? No, there is no limitation of file size, you can preview large no of files. Can anyone use NSF Viewer tool without technical skills? Yes, NSF Database Viewer tool is very easy to use and either you are technical or not. "Free NSF Viewer is a great tool. I never used such a rich-featured application which can open, read & export the entire database of my Lotus Notes NSF file. This tool helped me a lot in opening large IBM Notes database file." "I tried to open the database of my NSF file using top-notch NSF Reader which wasted my time. I am very thankful to the FreeViewer team for developing NSF File Viewer tool. It saved a lot of time and efforts to open NSF file." "I am extremely happy that my friend suggested me NSF File Reader Tool. It helps me in viewing large NSF file and export them to various file formats. Now, it is easy for me to access each and every email." "It was a great experience of using NSF Viewer tool. A single utility can perform multiple functions in quick steps. I must say that FreeViewer team has created an amazing tool!"